Do Asian dating events work? Come with an open-mind & a positive attitude - Just imagine having a conversation with someone who is narrow-minded, whinging and oozing of negativity. How attractive is this person? Would you want to date them, let alone have a conversation with them? Keep it real - Sometimes people forget that the purpose of an event is to seize opportunities to meet and connect with new like-minded single people. 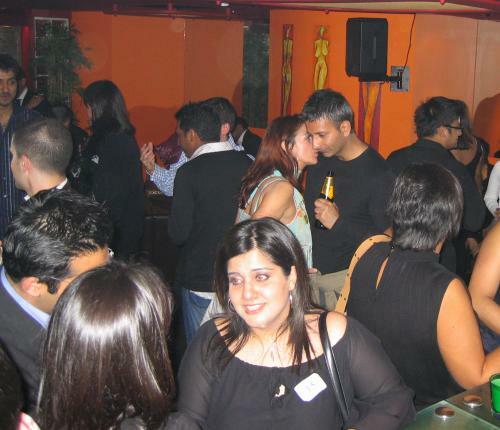 They are not matchmaking events (unless otherwise stated) based on individual’s preferences of height, religion, caste, weight, hair etc and there are no guarantees that you will meet the ‘one’ the first time you attend but equally it does not mean that it won’t happen now, or at a future event. Be approachable - Despite how nervous, or shy you may be feeling the easiest way to come across as approachable is to simply smile as someone is far more likely to approach you. It’s also important that you’re mindful not to stand in a group of people of the same gender, as it then makes it difficult for someone from the opposite gender to approach you. People you already know - Of course it’s good manners to say hi to the people that you already know but if there’s no conceivable romantic connection and you really want to catch up, do it outside of the event. Remember, the objective is to connect with those that you do not already know and primarily, of the opposite gender. Be a friend, not a foe - If you come to an event with a friend, be respectful of one another and create space so you can both move around freely. If your friend has connected with someone and you haven’t, be supportive. Don’t crowd their space, or pressure him/her to leave. Be patient and a good friend by treating him/her in the same way that you would expect, if the tables were turned. If you don’t ask, you don’t get - If you’re going to events regularly but are not getting any dates, chances are that you probably rarely, if ever, ask for a number. You’re either super fussy, or shy. If it’s the former then in order to get a different result, you’re going to have to do something different. If it’s the latter, we have a post-event messaging system so there really are no excuses! Asking/refusing numbers - Should you witness a guy you like, ask another woman for her number, or a woman that you like give her number to another guy, this is not a reason for you not to ask for a number, or refuse to give yours. Don’t take it personally, they haven’t just cheated on you but are simply maximising their opportunities to connect to others. The popular choice - There may be times when there is a popular guy, or gal that the majority (including yourself) may want to interact with, whilst this is your prerogative, do not let it be at the cost of missing out on the room full of other prospects. The popular choice does not necessarily always equal the right choice for you. I think you're spot on with your tips! There's no point in going to an asian dating event if you are not going to make the best of the opportunities and be proactive. We are all adults and we know why we are there! Thank you for writing this article and especially the points that you make about friends and standing in groups. As a man, the women want you to approach them. I have no problem with this but if she is in a group of other women, it's hard and if you top that off with a friend who keeps hoovering around whilst you are trying to have a conversation with a woman that you like, it's a nightmare! Thank you for the tips, reminders etc I guess one can forget all these good things, when you're clouded by your desire to meet someone. I have only been to one Tantric event and I will be coming along to more in the near future as I think that they are well organised and you do get a good crowd of professionals, compared to other events I have attended.